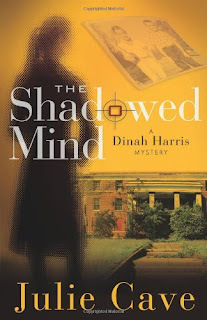 Dinah Harris is back in her second novel, this time as an independant consultant after her release from the FBI. Trying with God's help to get her alcoholism under control, she is nervous about starting her own business. Her first case comes through Detective Sampson Cage who is trying to find a serial killer with a message. Seems this serial killer is into neo-eugenics, or survival of the fittest of the human raise. Leaving his 'calling card' at each death of those who seem unfit to reproduce or make a positive impact on the world and must be gotten rid of. This story has a secondary story within of a daughter Ella and her Father who is suffering severe Alzheimer and the guilt Ella is feeling as she tries to care for him. I love how these stories intertwine throughout the novel. Still a fantastic novel and I am excited to read her 3rd one coming out this summer!